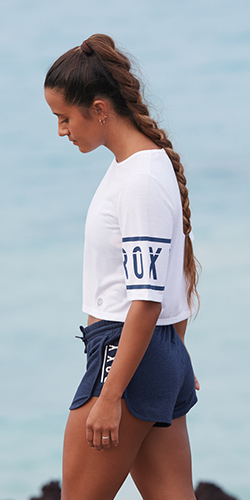 We set out on a journey to Let The Sea Set Us Free, by learning what makes each of you a Roxy Girl. Looking back on the countless videos, photos, quotes, faces, languages, and experiences, we’ve come out more inspired, more free, and more alive than we could have ever dreamed. The Sea has given us all something to connect with, something greater than ourselves. We met thousands of like-minded Roxy girls from around the world and we encourage each of you to reach out and share your love for the sea with each other. Your courage and dreams have inspired us beyond words, and for that we are humbled, happy and forever inspired by every Roxy girl who we’ve connected with along the way. Three winners will be announced tomorrow, June 19th, and we are excited to share their amazing story with all of you.